Is there any paperwork or document for the mechanical systems of 101 Downey Circ, Aurora, Ontario? I need more information about the property at 101 Downey Circ, Aurora, Ontario. How ist the neighborhood, location and nearby amenities for 101 Downey Circ, Aurora, Ontario? I have questions about the roof, foundation, insulations and mechanical issues of 101 Downey Circ, Aurora, Ontario? I need more information about property details. What's wrong with this house? Is this a short sale? Is there any maintenance for 101 Downey Circ, Aurora, Ontario? What is this property worth in today's market? What are "closing costs", and how much? What steps should I take when looking for a home loan? What price home can I afford? 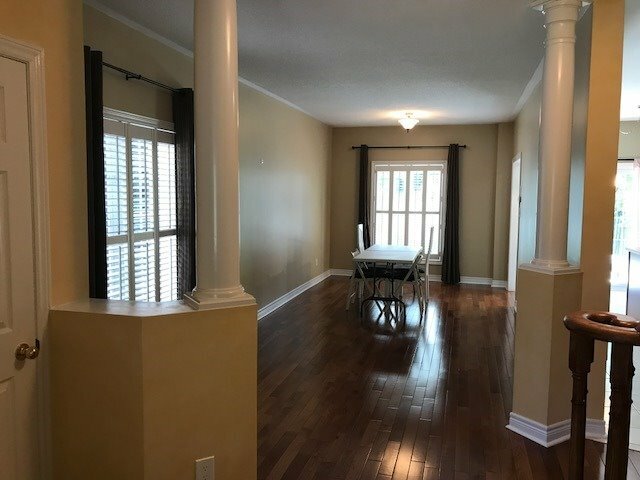 Is my credit good enough to buy this house? What are the best mortgage options for me? How flexible is the seller on the asking price? How low can I consider offering for 101 Downey Circ, Aurora, Ontario? Bright, Spacious, 3 Bedrooms, Well Maintained End Unit Townhome On A Quiet Street In One Of Auroras Most Highly Demanded Areas. Walking Distance To All Amenities! Shopping, Schools, Park Nearby. This Home Features Open Concept Living & Dining Rm & A Mid-Level Family Room W/ Gas Fireplace & Cathedral Ceiling, Large Principal Rms Including An Eat-In Kitchen With W/O To Beautifully Landscaped Yard. Master Bedm W/ Wi Closet & 4 Pcs Ensuite W/ Separate Tub & Shower. Fridge, Stove, Washer, Dryer, B/I Dishwasher, Elf, Window Coverings, Garage Dr Opener & 1 Remote. Tenant Do Lawn Mowing & Snow Removal & Pay Util. & Liabilities Insurance.